The following is an interview with the new Provost and Academic Vice President of John Carroll University, Steven T. Herbert, Ph.D.
Q. On behalf of the entire John Carroll community, welcome to Cleveland! What attracted you to JCU? A. Thank you! I am really excited to join the John Carroll community and I am humbled by the invitation to walk with you. I was definitely attracted to John Carroll’s Jesuit mission and its participation in a 500-year tradition of quality Jesuit education. Like its 27 sister schools in the United States, JCU explicitly calls for the care for the whole person in delivering its education to our students. 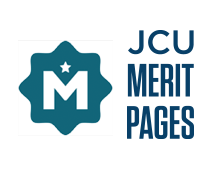 JCU’s specific focus within its Jesuit heritage, its commitment to service and leadership, and its powerfully evident dedication to its students resonated strongly within me. So many of the challenges articulated in the position description aligned with my experience over the last several years that I felt especially drawn to the invitation. 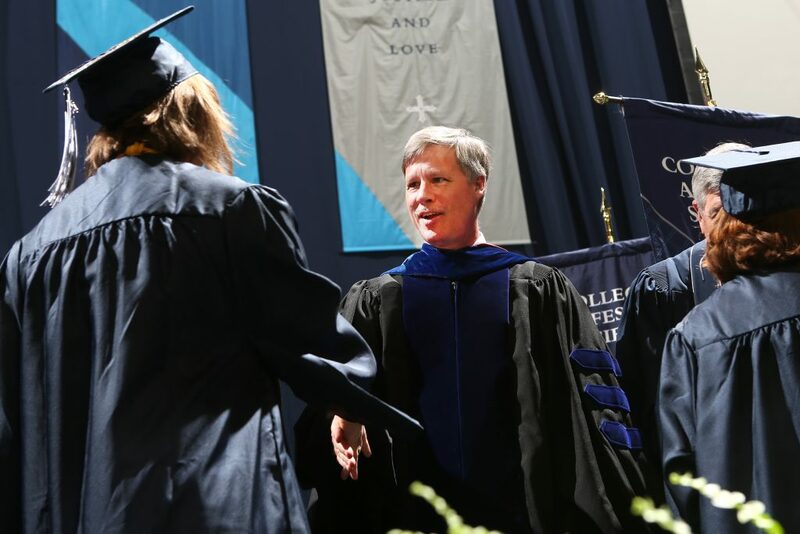 And the deeper I looked at John Carroll, the more impressed I was by the strong quality of the faculty and profound dedication of the staff in delivering an incredible student experience. The more that I saw of JCU, the more convinced I became that all of the building blocks necessary to build a great future are present right now. Q. What were your impressions of John Carroll throughout the interview process? I had been on John Carroll’s campus in the early 2000s and, though it has definitely grown and changed in the intervening years, I had some idea of what to expect. Which is to say, my impressions were well in line with my very positive memories – a beautiful campus populated with a dedicated faculty delivering a quality Jesuit education to its students. My interview process absolutely confirmed and deepened my expectations. However, my most lasting impression came from my visit to campus and meeting all of the wonderful faculty, staff, administrators, and students. In every single person that I met I saw a dedication, passion, and strength that impressed me. John Carroll has had its share of challenges over the last several years and, despite those challenges, I saw on full display the strength and resilience that has allowed JCU to emerge stronger from its trials and with an optimism that the future will only get better. The attitude of growth and continued progress was pervasive and compelling. It made me want to be a part of this community. Q. What challenges do you anticipate facing in the new role? One challenge that I was not expecting, but was very pleasantly surprised to find is the strong desire among faculty and staff to move forward quickly on a number of initiatives. My first challenge is to immerse myself into the JCU community quickly, listen deeply, and discern which efforts can move forward quickly and which may require a more deliberate approach. I will come in just after President Johnson completes his first year in office. As a community, we will need to decide how best to articulate and implement the President’s vision. At my open forum in my campus visit I spoke of building John Carroll’s story and of telling John Carroll’s story to the nation. These are all part of that narrative and should happen with all deliberate speed. Then there are the pressing, but typical challenges of maintaining strong enrollment at the undergraduate level while controlling the discount rate, growing graduate enrollment and increasing graduate program mix, and discerning the best approach forward while considering the necessary resourcing levels. These are challenges that many if not most universities are dealing with. John Carroll has a strong basis on which to build and I am very optimistic that we will make progress on all of these fronts. Q. You spent the better part of three decades at Xavier University. Are there any formative career moments that stand out from your time there? There are many, but I will hold up one, in particular. Very early in my career our President at the time, Fr. Jim Hoff, launched the “To See Great Wonders” Capital Campaign with the goal of raising $100 million. To say that this was ambitious is an understatement – Xavier had not raised that much combined to that point in our history (over 160 years). There were many that questioned the wisdom of such a goal, but Fr. Hoff would have none of it. He saw in Xavier something that we did not yet see in ourselves. When we blew past that goal several years later Xavier’s attitude about itself fundamentally changed and the institution has never looked back. Sometimes, the last thing to change – and the hardest thing to change – is the way that you see yourself. Q. The transition from classroom to administration is not always easy. How have you approached that evolution? My first step into an administrative role was as chair of the department of physics. I entered with a mindset of service. I was being given an opportunity to serve my colleagues and student-majors in a deeper way than I could before. In addition to being a strong teacher and researcher, I had the added the responsibility of helping my colleagues do their jobs better, clearing away barriers, smoothing processes, and generally improving the way we deliver our experiences to our students. As I stepped into my role as Associate Provost seven years ago I definitely saw this an opportunity to continue to serve at a university level, but now serving systems as well as people. But to your more specific question, honestly, I told myself that I was still teaching, but that my “classroom” was now the larger and more challenging space of the many divisions within the university. Q. Are there any lessons from your lifelong research and scholarship in the world of physics that you expect to bring to the Provost’s office? Most of my professional research in physics has dealt with investigating the way that electrons move within materials in coordinated and coherent ways. Very roughly speaking, they move together in unexpected, but understandable ways to achieve surprising and amazing results. From this I take a systems approach to my work. That is, when working on new programs, approaches, and solutions to problems, I aim to design strong systems that will best serve the people who rely on those systems and that will persist and grow independent of the people who serve within those systems. A strong system is an important part of our care for the work of delivering effective student experiences.